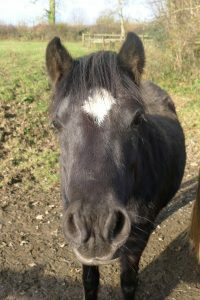 Our little Dartmoor Hill pony has gone to a stables up the road to learn how to be ridden. She seemed very unsure of the horse box, as she was last in one when she came off the moor as a wild untamed foal. But with quite a lot of patience and carrots, she eventually went in the horsebox. She was pleased to see some new horses to say hello to at her new location. She will stay there for 3 weeks whilst she becomes used to all sorts of new happenings, such as waving flags as well as a saddle, bridle and then a rider! Parmesan will miss her though! 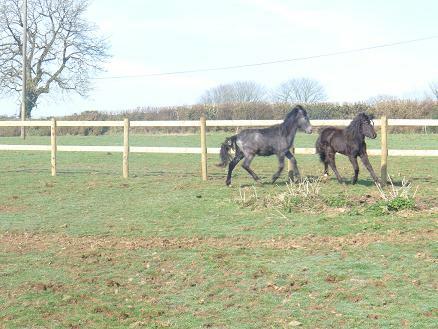 Photos of the 2 ponies when they arrived as small foals, and Pixielot now!